This post is a little different from my usual recipe post. It’s about our personal care products and the many chemicals to avoid when shopping for them. Every morning when you wake and after you wash your face (or so I hope), you’re applying something to it whether that’s a toner, shaving cream, deodorant, facial serum, moisturizer, cosmetics or sunscreen. And that’s just on your face. If you shower morning or night or both, you’re using hair shampoo, condition, and body soap and perhaps you apply body lotion over top. 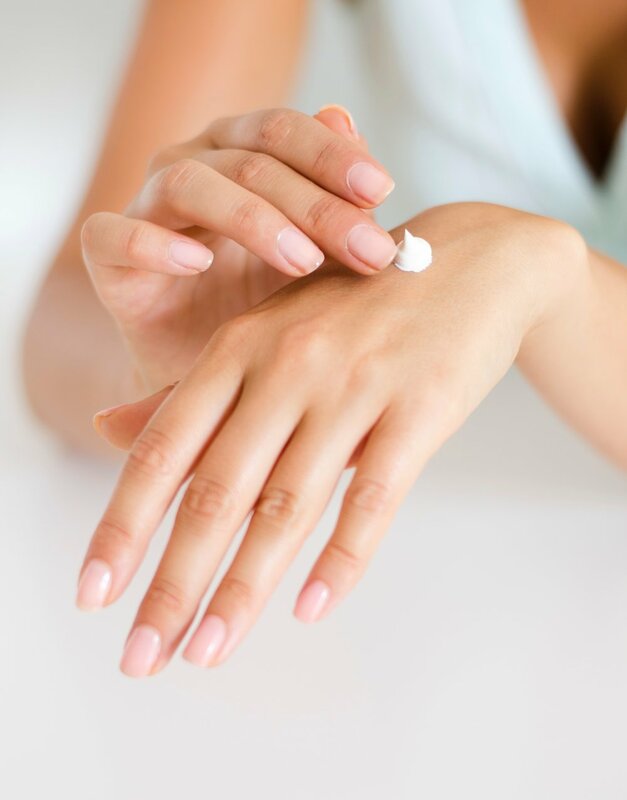 Basically, every day we’re applying a lot onto our skin and it is the largest organ of our bodies that is absorbing every ounce of this stuff. Soaking it up like a sponge on a daily basis. And it is these same ingredients that are going into our bloodstream travelling through our organs and other parts of the body. These same chemicals are also being rinsed off at the day of the end in the shower contaminating our water supply and eco systems. We’ll be drinking this stuff (yuck!). What’s so harmful about these chemicals? U.S. researchers identified 10,500 industrial chemicals used as cosmetic ingredients, including carcinogens, pesticides, reproductive toxicants, endocrine disruptors, plasticizers, degreasers and surfactants. A contaminant that acts like a hormones and interferes with the endocrine system, which regulates growth, metabolism, sexual development, reproduction and other body functions. So which ones should I avoid then? Here’s a Dirty Dozen List! Used mainly in moisturizers and makeup as preservatives. Suspected endocrine disruptors and may cause cancer (BHA). Harmful to fish and other wildlife. P-phenylenediamine is used in some hair dyes; other colors are used in a variety of cosmetics. Potential to cause cancer and may be contaminated with heavy metals toxic to the brain. Used in some creamy and foaming products, such as moisturizers and shampoos. Can react to form nitrosamines, which may cause cancer. Harmful to fish and other wildlife. Used as a plasticizer in some nail care products. Suspected endocrine disruptor and reproductive toxicant. Harmful to fish and other wildlife. DMDM hydantoin, diazolidinyl urea, imidazolidinyl urea, methenamine, quarterni- um-15 and sodium hydroxymethylglycinate. Used in a variety of cosmetics. Slowly release small amounts of formaldehyde, which causes cancer. Used in a variety of cosmetics as preservatives. Suspected endocrine disruptors and may interfere with male reproductive functions. Any mixture of fragrance ingredients used in a variety of cosmetics. Some fragrance ingredients can trigger allergies and asthma. Some linked to cancer and neurotoxicity. Some harmful to fish and other wildlife. Used in some cosmetic cream bases. Can be contaminated with 1,4-dioxane, which may cause cancer. Used in a variety of cosmetics to soften, smooth and moisten. Suspected endocrine disruptor and reproductive toxicant (cyclotetrasiloxane). Harmful to fish and other wildlife. Used in some foaming cosmetics, such as shampoos, cleansers and bubble bath. Can be contaminated with 1,4-dioxane, which may cause cancer. Used in some antibacterial cosmetics, such as toothpastes, cleansers and antiperspirants. Suspected endocrine disruptor and may contribute to antibiotic resistance in bacteria. Harmful to fish and other wildlife. Are there chemicals in my sunscreen I should avoid? Yes. Retinyl palmitate is a vitamin A compound in the same family as Retin-A, which is known for its anti-aging applications. Studies conducted by the National Center for Toxicological Research and the National Toxicology Program found that lab rats whose skin was coated with a cream containing the chemical tended to develop tumors faster — 11% to 21% faster — than rats coated in a cream that didn’t include that ingredient. Oxybenzone - The primary function of oxybenzone is to absorb UV light, but some research shows oxybenzone can be absorbed through the skin. Oxybenzone when mixed with the sun’s rays is linked to hormone disruption and potentially to cell damage that may lead to skin cancer. So what kind of sunscreen should I buy? I currently use Fre Skincare’s SPF 30 sunscreen which is carcinogenic free! It’s also…. Sodium Laureate Sulfate (SLS) free? Yes. What personal care & beauty products should I buy? Buy ones with ingredients that you can pronounce the names of. Opt for certified organic ingredients and simply do your research. There are so many chemicals to remember, help! Yes, it’s overwhelming to remember every single one so I suggest bookmarking this blog post to cross check your ingredients OR download the THINK DIRTY APP! The THINK DIRTY app is really cool and helpful. My sister shared it with me so credits to her! But basically you scan the bar code of the product you are about to purchase or you currently have at home and if the product is stored in their database, it’ll give you a rating of 0 - 10 with 0 being the cleanest. A rating of 0 - 3 is a product that does not contain any ingredients which have a documented potential negative health impact. A rating of 4-7 is a product that has ingredients with potential moderate negative long term health effects. And a rating of 8-10 has potential for serious negative long term health effects. You can also submit your own products if they’re not found in the database and the Think Dirty App team will review the ingredients and notify you once the product has been rated. I really hope this list helps you out! Non-toxic living is something that I’ve been working on and it takes time and research but it’s well worth it to trust what I’m applying onto my skin. I hope you consider making the switch too! Disclaimer: I am make a small commission with Fre Skincare & The Detox Market but it will not impact your purchase price. I am not sponsored by any of the other companies listed.